Hiking and Learning and Exploring – Oh My! Natural Selections Offers Family-Friendly Hikes and Educational Opportunities! Love hiking? Enjoy learning? Want to connect your kids to nature? The City of Boulder’s Open Space and Mountain Parks department offers ongoing nature hikes and educational opportunities throughout the year. These are well run, engaging programs that offer something for everyone – some of their programs are even wheelchair accessible. 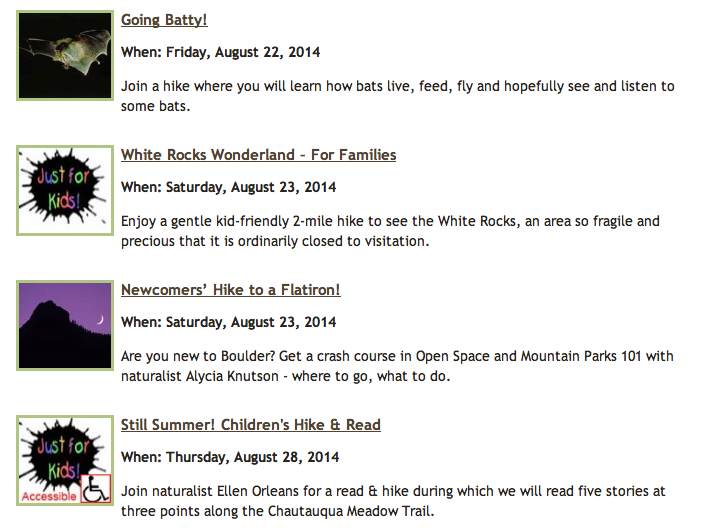 These programs are family-friendly and so engaging for Boulder Families! These are always free and open to the public. Sometimes you do need to make a reservation, but that is the exception. I have seen many of those programs fill up, so if you like something you see reserve it! You can subscribe to Natural Selections and receive email updates on upcoming events weekly – here. Just go to the pull down menu and select – Natural Selections – and you will be in the know! Read more about how Natural-Terrain Schoolyards Reduce Children’s Stress Levels – here. This is a great CU study! 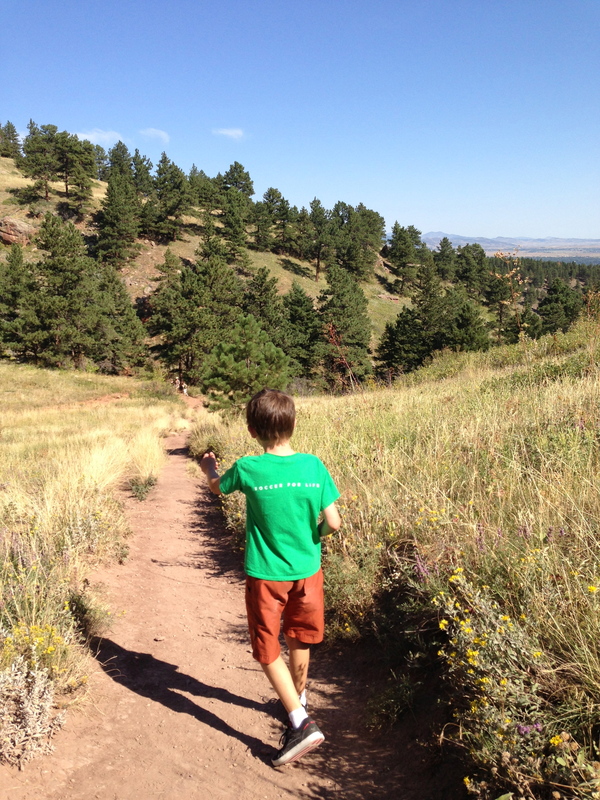 This entry was posted in Boulder and tagged Boulder, City of Boulder, Colorado, Education, Families, Getoutdoors, Hiking, Kids, Natural Selections, Open Space and Mountain Parks, Outdoors by Boulder Families. Bookmark the permalink.